You will need to be a member of Letterbox Library to access many of these sections (£5 annual fee). Please visit our membership page to create an acount. Girls and boys get to jump over gender stereotypes..and be themselves! A joyful bookshelf of stories which embraces emotionally intelligent, thoughtful boys and strong, active girls. 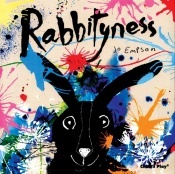 Encourages children to feel free with their role play and with their ambitions. You will never find a passive, sequined princess in this pack! An expert selection of biographies celebrating icons from the past and icons in the making, with a necessary emphasis on women's history and Black history. Texts which suit a range of ages and abilities from sparse text picture books pitched perfectly to the very young (see for eg the Little People series), to graphic/comic form text to short stories to indepth chapter books and satisfyingly chunky anthologies. 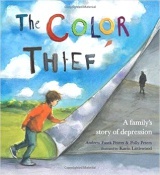 Launched during Mental Health Awareness Week 2016, this section introduces some of our top picks for books exploring mental health issues as they impact on children- including both stories about young people who see the adults in their lives struggling or living with mental health problems as well as narratives where the young people themselves have mental health issues. 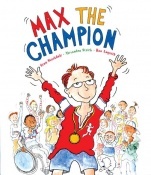 Upbeat portrayals of children of all abilities getting on with their busy, fun-filled lives. Along with the wider disability movement, we try as much as possible to ensure that our disabilities books aren't 'about' disability but instead present disabled children 'casually', as a natural part of the landscape. Do remember that we also stock many disabilities titles outside of this pack. Just click on the Disabilities section when searching by theme! Many of you have contacted us over the years asking for books with mixed race characters and so this section has been specially created to showcase our favourites! We know that the number of books published every year featuring mixed race protagonists/families don't begin to represent our society accurately, so we hope this section will also serve to highlight the very real need out there. The winners and short listed titles of the Little Rebels Award for Radical Children's Fiction. 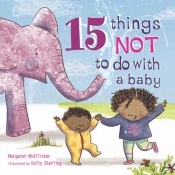 A fantastic array of titles for the 0-12 age group, informed by inclusive/anti-discriminatory concerns and/or those that promote social equality or social justice. An empowering and sophisticated collection of books addressing bullying in all its forms and from the perspectives of both bullies and the bullied. Anti-bullying titles are surprisingly hard to find, so we have searched high and low for you! Every month should be Black History month! Famous for our Black History selections, this dazzling collection includes both historical and contemporary icons from the anti-slavery, civil rights and anti-racist movements. We strive for a good gender balance in this pack and we work very hard, often against the odds, to include as much Black British History as possible. We think we're doing pretty well..! 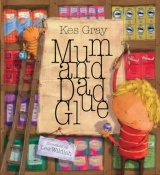 Sensitive and soothing stories and resources which give children the tools to cope with loss and grief. Includes children's 'typical' first experiences such as the loss of a pet and the death of a grandparent but whenever possible we offer much harder to find titles such as those dealing with the death of a parent, sibling or friend. 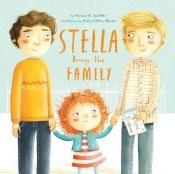 Affirming and positive portrayals of families which include adopted and fostered children. All have been carefully vetted by our expert social worker reviewers. Representations of fostering specifically are notoriously hard to find in books for pre-teen children but we include these wherever possible. From eco warriors to civil rights activists, we celebrate and honour children and young people (both real and fictional) who have made a stand, bringing lasting transformations to their families, communities and the environment. Truly life-affirming! A hard selection to make given that, tragically, so many books showing LGBT characters go out of print as quickly as they come in... Publishers take note; the demand is out there! This section includes books with LGBT leads as well as books which are more 'incidental' in their representations ie: books about families which include LGBT parents in the mix. We also stock bios. of historical figures and contemporary role models who we now know identified as LGBT but if this isn't mentioned in the text itself, you won't find them in this section. Fingers crossed- this section will blossom and grow as publishers recognise the need out there. Wonderful stories of children forging first friendships and friendships across social divides as well as positive narratives about confronting challenges such as exclusion and peer pressure. A thoughtful selection which recognises that every child is a competent learner from birth who can be resilient, capable, confident and self-assured (EYFS Framework). 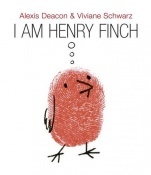 Fiction and non-fiction books perfectly suited to exploring identity, inclusion, our differences, our similarities- and for instilling confidence and pride in every child. Books with earth-hugging Green credentials! 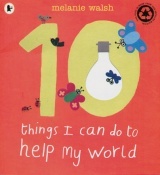 Perfect for opening children's eyes to the beauties of the natural world and for introducing practical steps that little ones can take to protect the environment. We are famous for sourcing books which deal realistically and yet reassuringly with separation and divorce. Child-centred fiction and non-fiction which really gets to the heat of children's anxieties in the face of family breakdown. Books which address the complexities of peace and conflict in accessible, thoughtful and, ultimately, inspiring way. Includes age-appropriate narratives of civil conflicts, wars and forced migrations as well as clever stories about how our personal acts of peace and aggression resonate with the global. Powerful histories of enslavement and the defiance, courage and bravery of those remarkable men and women who escaped and campaigned for freedom. Largely biographical accounts.